Amidst all my crazy projects at the moment, I managed to pull off one quick little DIY for myself. 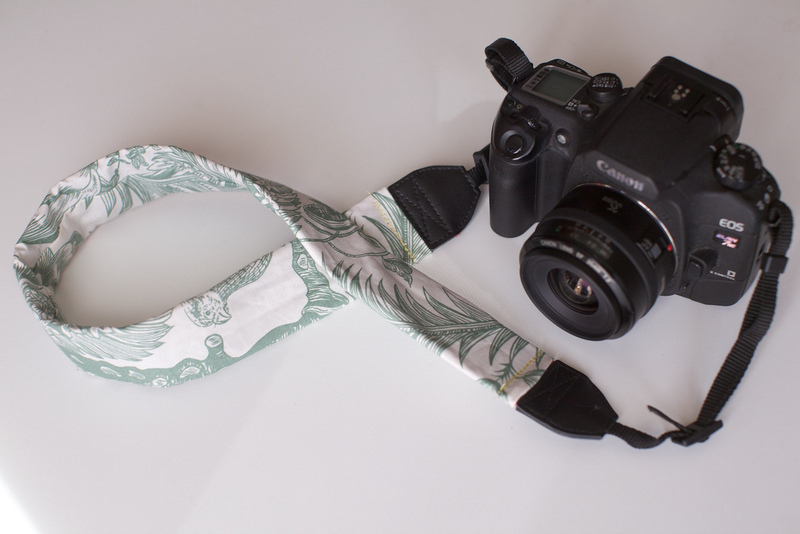 I put a cute cover on my new camera strap. For awhile now I’ve been carting around this camera without a strap at all, but thought it would actually be useful to have one. Luckily I got my hands on a spare, but it had a lot of text on it from the fancy camera it once belonged to. I pulled out some scrap fabric I had and sewed up a cover right quick. I didn’t follow any instructions (but here’s a good tutorial) I just measured the strap and added a little extra for seam allowance. It was quick and easy, taking less than 20 minutes. The most difficult part was slipping the cover over the original strap, since it has that fancy grip fabric on the bottom. I should probably iron it so it looks a little more pro, but I’m quite happy with it. 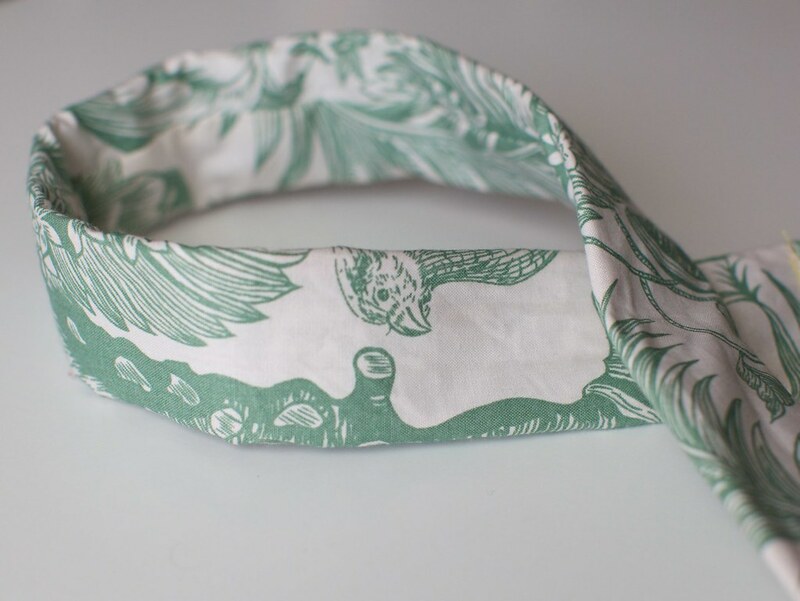 I like the contrast of the light fabric and the black camera and all the hidden details in the print. Alix, get out of my head! I was just thinking on Friday of making something like this. I just hadn’t gotten around to it! So funny. I love the fabric you chose! Just lovely. Alix, I saw this when you first posted it but it was from my phone so commenting was hard! 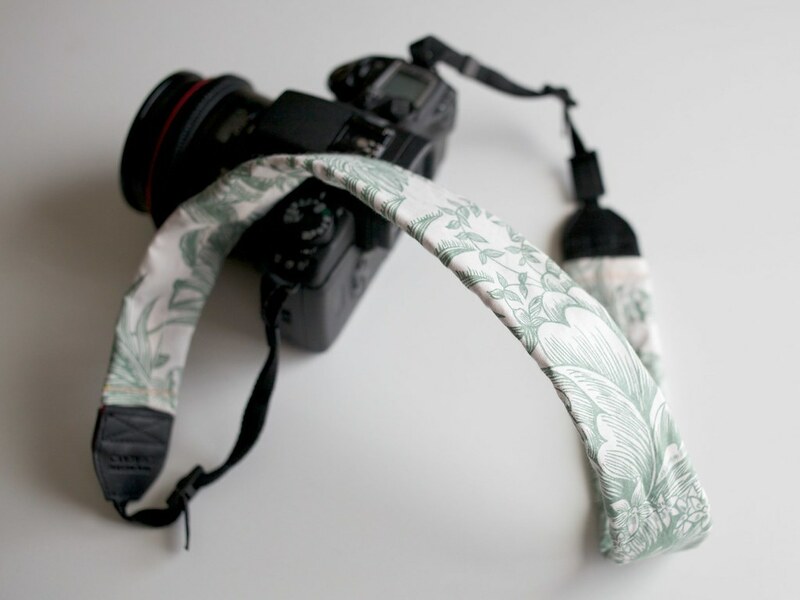 I LOVE these homemade camera straps- I shop for “the perfect one” on Etsy every once and a while but haven’t found one that was just perfect. I didn’t think I could make one myself because I didn’t have a sewing machine (or a sewing kit, because I don’t know how to sew). If I did pick up my own fabric and sewing kit, I assume this is something I could still do myself fairly easily?